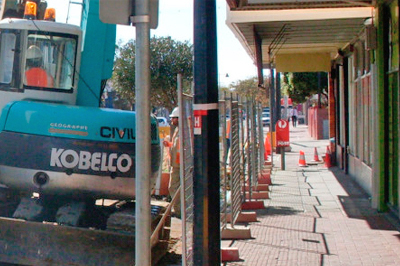 When operational assistance or maintenance is needed on Aqwest infrastructure, Geographe Civil is equipped to immediately respond to all situations. With a rapid response team of highly qualified staff and a comprehensive range of plant and equipment, Geographe Civil works alongside AQWEST, when required, on its operational and maintenance activities. AQWEST delivers a high quality water supply within the City of Bunbury and surrounding areas using the latest engineering technologies. To assist in a seamless and reliable delivery of a critical service, Aqwest sought a contractor which had the expertise, technology and flexibility to respond to a wide range of operational and maintenance works and meet the service expectations of its customers. Appointing Geographe Civil as a preferred contractor, Geographe Civil’s experienced team works together with AQWEST’s operational personnel to design and deliver infrastructure solutions. The team has available its surveying and project planning skills to assist in the analysis of individual problems and implement site specific solutions.